Woman In Black becomes Daniel Radcliffe‘s first big movie project after the Harry Potter series. The film has debuted its first official teaser trailer that looks very British and quite horror-classic. 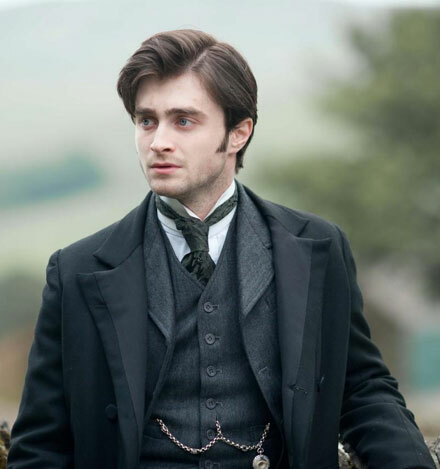 The first Woman In Black teaser focuses on Daniel Radcliffe’s character, young lawyer Arthur Kipps, and his first encounter with the mysterious woman in black. In the thriller Kipps goes to a remote village to organize papers of a deceased client. There he sees a woman dressed entirely in black but when he asks the villagers about her, they ignore his curiosity. Eventually, he realizes that she’s a ghost set for revenge. The film is based on Susan Hill’s novel of the same name written in 1983. The US release date for The Woman In Black hasn’t been unveiled yet. In the UK the movie is set to premiere on October 28, 2011.